Well on this episode we discussed the subject of beer styles that you just don’t like at all, and we’re still not sure why we put these two beers together. 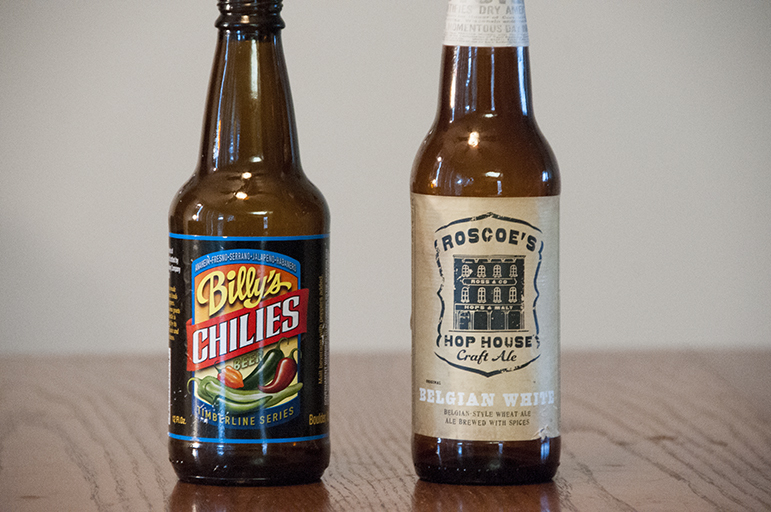 But it ended up being entertaining anyway watching the crew attempt to blind taste test Twisted Pine Brewing Billy’s Chillies and Roscoe’s Hop House Craft Ale Belgian White. Posted in Blind Taste Testing (2011 - 2013) and tagged beer styles you hate, Belgian White, Billy's Chillies, jalapeno, nachos, Roscoes Hop House Craft Ale, Twisted Pine Brewing.